CITROEN BERLINGO MK2 2008-PRESENT. THIS COVER WILL FIT CITROEN BERLINGO 2nd GENERATION. HANDCRAFTED WITH TOP GRAIN LEATHER. (cover only). THE GAITER IS MADE BY A GENUINE. Eco leather is a man-made material is used extensively throughout the automotive industry on gaiters & seats which is also known as bonded leather. It is manufactured from recycled real leather hides that would be going to landfill. 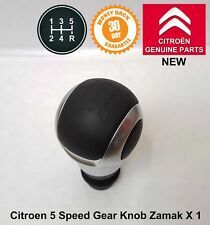 New Genuine Citroen C4 C5 DS4 Zamak Manual 5 Speed Gear Knob. Citroen DS4. Material: Zamak & Leather. Citroen DS3. Citroen 96886797BP. Citroen 2403GC. Citroen C3 (A51) Mk2 2009-2016. Citroen C3 (B618) Mk3 2016 -. 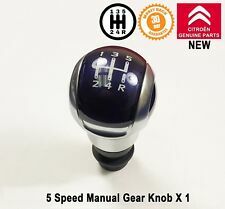 Citroen C3 DS3 DS4 Manual Gear Knob 5 Speed Gearstick Infinite Blue. Citroen DS4. Colour: Infinite Blue, Zamak. Materials: polycarbonate / PU / ZAMAK. Citroen DS3. Citroen C3 (A51) Mk2 2009-2016. Citroen C3 (B618) Mk3 2016 -. 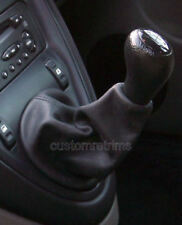 Citroen Sport Gearknob (Saxo, VTR, VTS, Furio, 1.1). Good used condition. This was an optional extra available from Citroen dealers when the Saxo was first released. Quite a rare item now. Should fit any model Citroen Saxo but please do check first. Happy bidding. 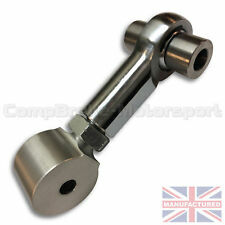 It has been drilled and tapped with the correct thread to fit Citroen C1. Simply unscrew your existing ball and screw this one on. Black #8 ball.Other colours available, see below. I will get your gear knob to you as soon as is possible. THE PART NUMBER OF THIS ITEM IS 9400AQ. GENUINE NEW SHAPE C4 SILL PROTECTORS. THESE SILL PROTECTORS FIT ALL NEW SHAPE C4 MODELS. THIS COVER WILL FIT CITROEN BERLINGO MK1 FROM 1996-2008. CITROEN BERLINGO MK1 1996 - 2008. Motorcycle seat strap cover. VERY HIGH QUALITY CUSTOM MADE FITS PERFECT LIKE A GLOVE HANDCRAFTED WITH TOP GRAIN LEATHER. THIS COVER WILL FIT CITROEN SAXO FROM 1996-2003. CITROEN SAXO 1996-2003. VERY HIGH QUALITY CUSTOM MADE FITS PERFECT LIKE A GLOVE HANDCRAFTED WITH TOP GRAIN LEATHER. Motorcycle seat strap cover. THIS COVER WILL FIT CITROEN DISPATCH ( JUMPY ) MK2 FROM 2007-PRESENT. CITROEN DISPATCH, JUMPY MK2 2007-PRESENT. VERY HIGH QUALITY CUSTOM MADE FITS PERFECT LIKE A GLOVE HANDCRAFTED WITH TOP GRAIN LEATHER. Part No: 1609096680. Genuine Citroen C1 Front Door Sill Protectors. - Citroen C1 (B4) 2014 - Onwards. Genuine Citroen Front Door Sill Protectors. THIS COVER WILL FIT CITROEN RELAY VAN, JUMPER VAN MK3FROM 2006-2014. CITROEN RELAY, JUMPER 2006-2014. Motorcycle seat strap cover. VERY HIGH QUALITY CUSTOM MADE FITS PERFECT LIKE A GLOVE HANDCRAFTED WITH TOP GRAIN LEATHER. Polished Stainless Steel Kick Plates / Sill Protectors for the Citroen C4. Tailor Made: These Sill Plates have been tailor made to fit the Citroen C4. For the model released in 2010 up to the present. THIS COVER WILL FIT CITROEN BERLINGO 2nd GENERATION. CITROEN BERLINGO MK2 2008-PRESENT. HANDCRAFTED WITH TOP GRAIN LEATHER. Easy to fit. It takes you about 50 mins. You need to put a cover on a steering wheel and sew it on. BLACK REAL LEATHER CAR STEERING WHEEL COVER FROM ONE PIECE OF LEATHER WITH BLACK STITCHING. This leather cover will improve the appearance making, your steering wheel look like new again. THIS COVER WILL FIT CITROEN XSARA FROM 1997-2005. CITROEN XSARA 1997-2005. VERY HIGH QUALITY CUSTOM MADE FITS PERFECT LIKE A GLOVE HANDCRAFTED WITH TOP GRAIN LEATHER. Motorcycle seat strap cover. CITROEN DS3 2010-2013 . And what you will receive is only the leather part. Black leather with red stitching. 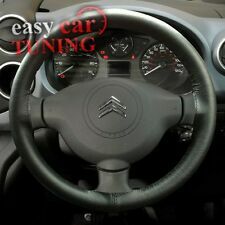 New Genuine Citroen C4 DS4 Manual Gear Knob & Leather Gaiter Surround Trim panel & Base. Citroen 759275 – Gaiter. Citroen Price: knob £27.59 gaiter £54.55 trim £44.21 base £24.51 = £150.86. Citroen C4 (B7) Mark II 2009-2016. Automatic transmission only (AM6, AT6, AL4). 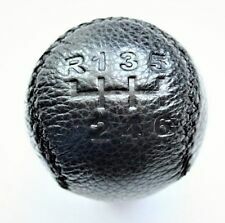 Genuine Citroen C4 C5 DS4 DS5 Automatic Gear Knob 6 Speed Gear Box. Citroen DS4. Citroen DS5. Citroen 98028381ZW, 98028381ZD, 2403HV, 2403HT – Knob. Citroen C4 (B7). THIS COVER WILL FIT CITROEN DISPATCH ( JUMPY ) MK1 FROM 1994-2006. CITROEN DISPATCH, JUMPY MK1 1994 - 2006. Motorcycle seat strap cover. VERY HIGH QUALITY CUSTOM MADE FITS PERFECT LIKE A GLOVE HANDCRAFTED WITH TOP GRAIN LEATHER. THIS COVER WILL FIT CITROEN C1 MK1 FROM 2005-2013. CITROEN C1 MK1 2005-2013. VERY HIGH QUALITY CUSTOM MADE FITS PERFECT LIKE A GLOVE HANDCRAFTED WITH TOP GRAIN LEATHER. Motorcycle seat strap cover. THIS COVER WILL FIT CITROEN SAXO FROM 1996-2003. CITROEN SAXO 1996-2003. Motorcycle seat strap cover. VERY HIGH QUALITY CUSTOM MADE FITS PERFECT LIKE A GLOVE HANDCRAFTED WITH TOP GRAIN LEATHER. THIS COVER WILL FIT CITROEN DISPATCH ( JUMPY ) MK1 FROM 1994-2006. CITROEN DISPATCH, JUMPY MK1 1994 - 2006. VERY HIGH QUALITY CUSTOM MADE FITS PERFECT LIKE A GLOVE HANDCRAFTED WITH TOP GRAIN LEATHER. CITROEN BERLINGO MK1 1996 - 2008. THIS COVER WILL FIT CITROEN BERLINGO MK1 FROM 1996-2008. Motorcycle seat strap cover. VERY HIGH QUALITY CUSTOM MADE FITS PERFECT LIKE A GLOVE HANDCRAFTED WITH TOP GRAIN LEATHER. CITROEN C4 MK1 2004 - 2010. THIS COVER WILL FIT CITROEN C4 1st GENERATION. HANDCRAFTED WITH TOP GRAIN LEATHER. CITROEN BERLINGO MK2 2008 - PRESENT. BERLINGO MK2 FROM 2008-PRESENT. THIS COVER WILL FIT CITROEN. VERY HIGH QUALITY CUSTOM MADE FITS PERFECT LIKE A GLOVE HANDCRAFTED WITH TOP GRAIN LEATHER. Citroen/Peugeot Ref Number B001099580. New and Genuine Citroen Peugeot Part. We are a main dealer for our franchised vehicles. THIS COVER WILL FIT CITROEN XSARA FROM 1997-2005. CITROEN XSARA 1997-2005. Motorcycle seat strap cover. VERY HIGH QUALITY CUSTOM MADE FITS PERFECT LIKE A GLOVE HANDCRAFTED WITH TOP GRAIN LEATHER. Citroen C3 DS3 DS4 Manual Gear Knob 5 Speed Gearstick Fuchsia Pink. Citroen C3 (A51) Mk2 2009-2016. Citroen C3 (B618) Mk3 2016 -. Citroen C4 (B7) 2011-. Citroen C5 (X7) 2007-. Citroen DS3. Citroen DS4. FITS TOYOTA AYGO CITROEN C1 PEUGEOT 107. Black leather with red stitching. CITROEN C1 (2005 - 2009) MK1, 1.0 i Vibe 3 DOOR. ALL THESE PARTS ARE REMOVED FROM A RIGHT HAND DRIVE CAR. We try to note anything you would want to know about its condition outside of what you'd expect for its age. Quick and easy to install. Material : As original. Enhances the aesthetics of the vehicle while protecting it against knocks and scratches, so assisting resale. Use of the best materials. FITS CITROEN C2 2003-2011. Black leather with red stitching. And what you will receive is only the leather part. CITROEN C1 MK1 2005 - 2013. THIS COVER WILL FIT CITROEN C1 1st GENERATION. HANDCRAFTED WITH TOP GRAIN LEATHER. We are a main dealer for our franchised vehicles. 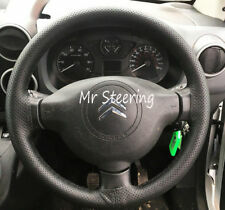 CITROEN DISPATCH 2 LITRE DIESEL STEERING WHEEL AIRBAG 2007 TO 2012.